Nice informal outfit. 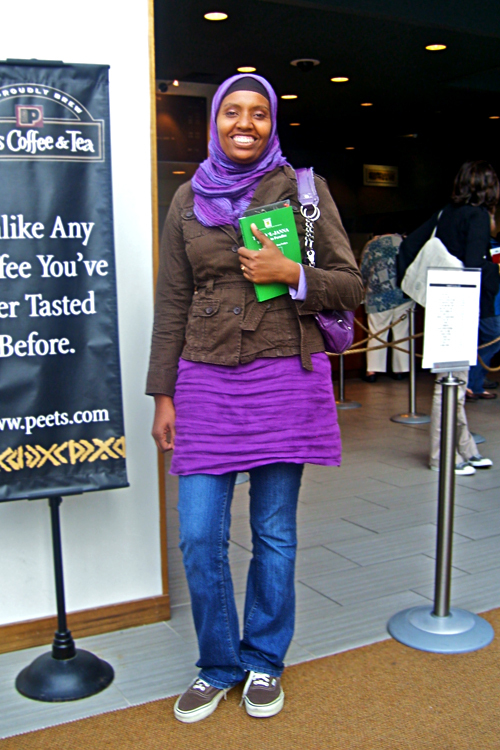 The hijab matches the rest of the outfit very well, amazing to get that kind of color coordination. A positive effect masha'Allah. i love her smile mashallah! So much noor!